In the early morning of October 25th, 2018, the Northern Mariana Islands of Saipan and Tinian were devastated by Category 5 Super Typhoon. Scholars preparing to apply for college have instead lost everything, saving lives by sheltering in bathrooms. Elders, who rely on electricity or refrigeration for medical needs, are at risk and will be so for weeks to come. Our power systems have been badly damaged, our hotels and tourist attractions are damaged, and we have many injured and traumatized. The economy of the CNMI, having recently recovered and grown, will face serious setbacks and our already needy people will suffer now with heat, hunger, and illness. While much assistance is needed, the Marianas Young Professionals, through our disaster relief arm United 4 Saipan, will focus on individual assistance and assist with case management. We will prioritize water distribution and immediate needs. Next we will focus on relocation support for those displaced or damaged. Finally we will coordinate volunteer cleanup efforts and rebuilding. We ask for donations which will be used for to buoy up the people of the CNMI. U4S has done this before, 3 years ago, after Typhoon Soudelor. We are able, smart, and ready to help. We are a CNMI non-profit organization in existence for 3 years. Our Executive Director is G van Gils, the 2017 CNMI Teacher of the Year. MYPros.org can provide information about our organization. 100% of net contributions will be allocated for recovery after Typhoon Yutu. We ask for an initial fundraising goal of $10,000 to help cover immediate life threatening assistance needs, but that number may grow as we anticipate many homeless and hungry people that will need help. Our people are strong, resilient, and we will come through this. Thank you for your support. 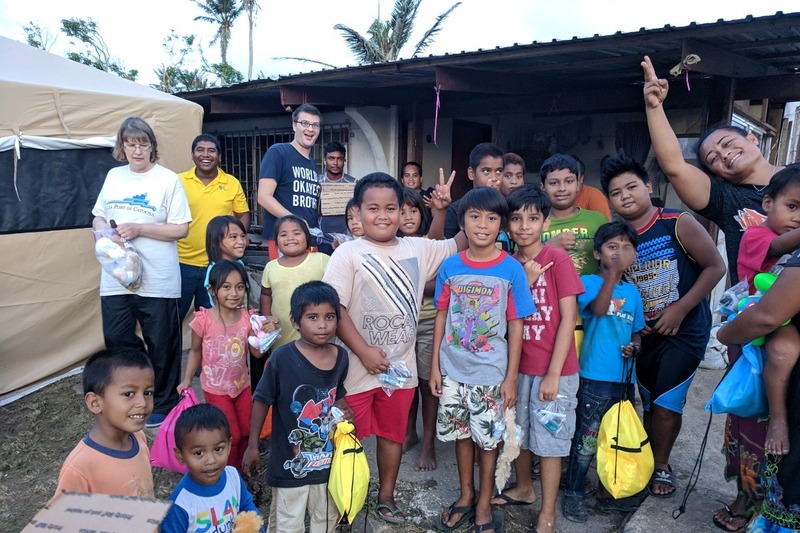 In connection with this campaign, the Direct Impact Fund has been designated as an agent for receipt of contributions to us, the Marianas Young Professionals. As of April 11, 2019, the Direct Impact Fund operates as GoFundMe.org. "It was the best of times, it was the worst of times, ... it was the season of Light, it was the season of Darkness, it was the spring of hope, it was the winter of despair, we had everything before us, we had nothing before us, ...". These last two months, since Supertyphoon Yutu, have been difficult and wonderful. If we focus on things, like houses and material possessions, then these are truly awful times. But if you love people, as I do, this is a wonderful time. People are better now than I've ever seen them. More willing to pick up a rake, more willing to pick up a meighbor. This is a good time to be surrounded by great people fully engaged in good. At MYPros we are entering into the Autumn of our recovery efforts. With just a few weeks left in our 90-day relief and recovery effort, we are working mightily still. 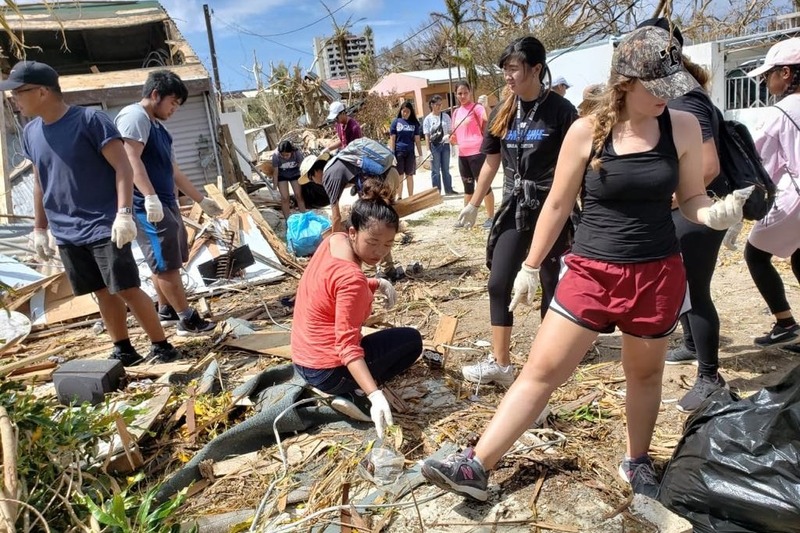 Our interns labor to deliver goods to those in need, our Saipan Sawyers are clearing trees, our volunteers are mucking houses and delivering relief items. I am so proud of the relief MYPros has been to a wonderful people. I am so thankful for friends like you who have financially helped us to do this work. There is work left to do and we thank you as ever for your donations. 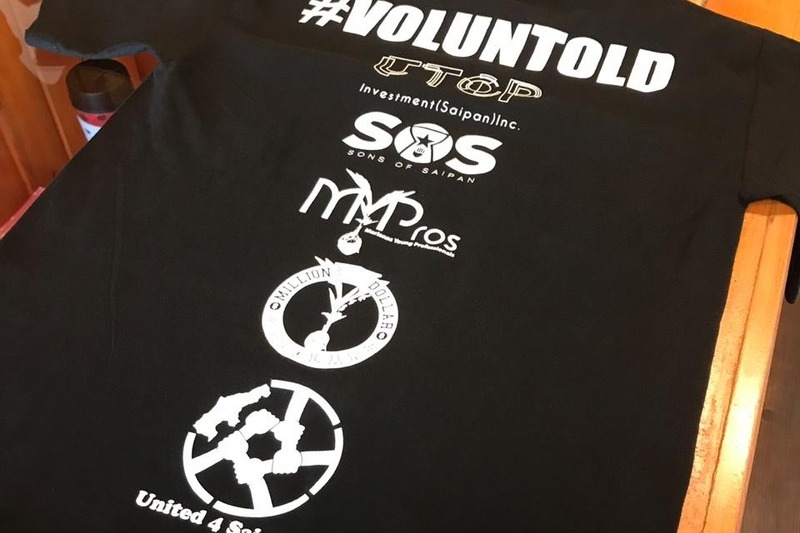 We don't just do volunteer work because there is work to do; we come together as a community, volunteer as a community, and we will recover into a still stronger community. Every major storm brings massive and dangerous debris. 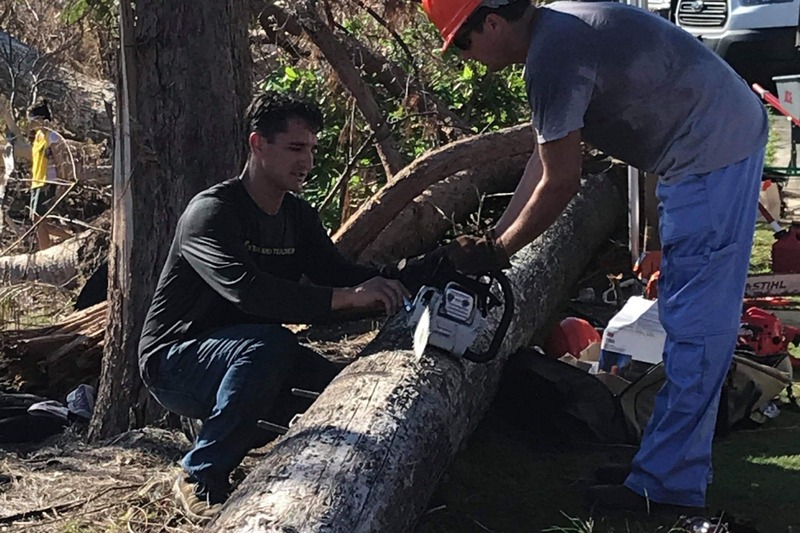 Chainsaws are the most dangerous power tool and, during Supertyphoon Yutu, the trees of the Northern Mariana Islands have been violently thrashed. Trees are often on houses and there are injuries happening daily in an effort to clear these trees. 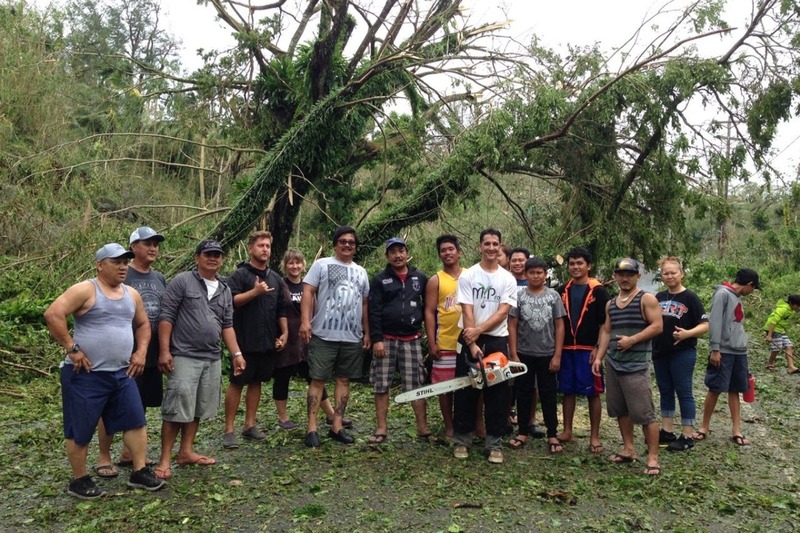 Mindful of this need, groups of volunteers on Saipan and Tinian have dedicated themselves to being instructed in safety and maintenance of chainsaws. MYPros has sponsored these efforts by gathering professional grade equipment with some funds raised here. 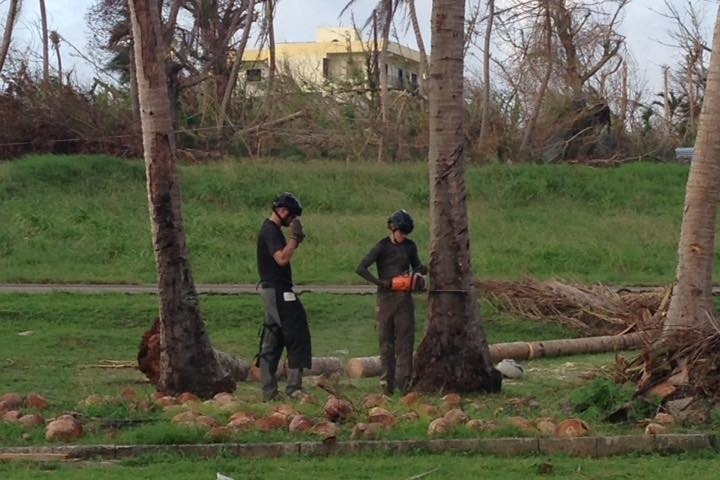 The "Saipan Sawyers" club is led by a former wild-land firefighter and a former professional arborist. Still, we are learning and proceeding carefully to ensure the safety of our volunteers. This past Sunday, MYPros volunteers joined the Saipan Sawyers and volunteers from the Saipan Ward of the Church of Jesus Christ of Latter-Day Saints, to clear debris at Obyan Beach. We also got help from the Koblerville "MYPros: Beutify CNMI" volunteers and from the CNMI Government, Division Of Commonwealth Cultural Affairs. This volunteer event brought together a community of more than 70 people! 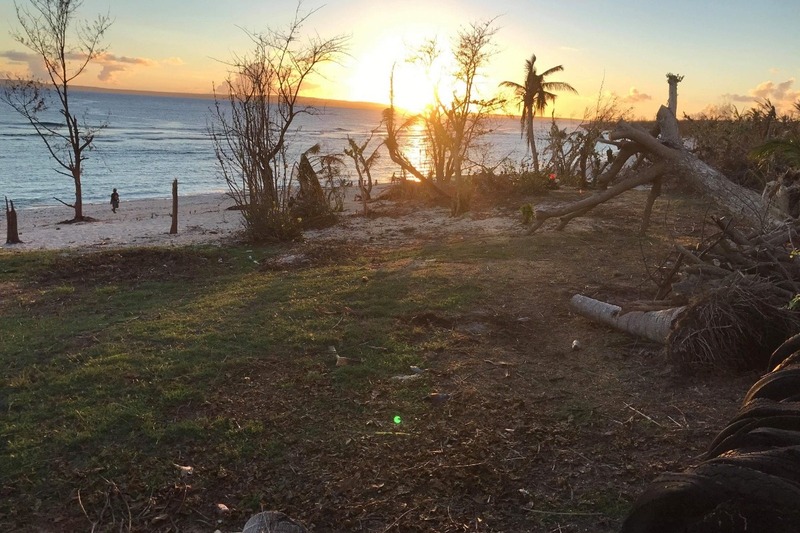 We moved thousands of pounds of debris and we fed our volunteer army a sunset dinner on Saipan's popular tourist site, Obyan Beach. Tourists, book your dive trips and visit the CNMI! Thank you donors, for entrusting MYPros with your money. We are using it wisely, multiplying it's effect, and spending it to the last penny within 90-days of this storm. Thank you for stretching to help us get to $100k. Joining us in this recovery, we welcome you to our community. Stronger than any storm. We have suffered mightily, as a community. But our recovery is remarkably smooth. 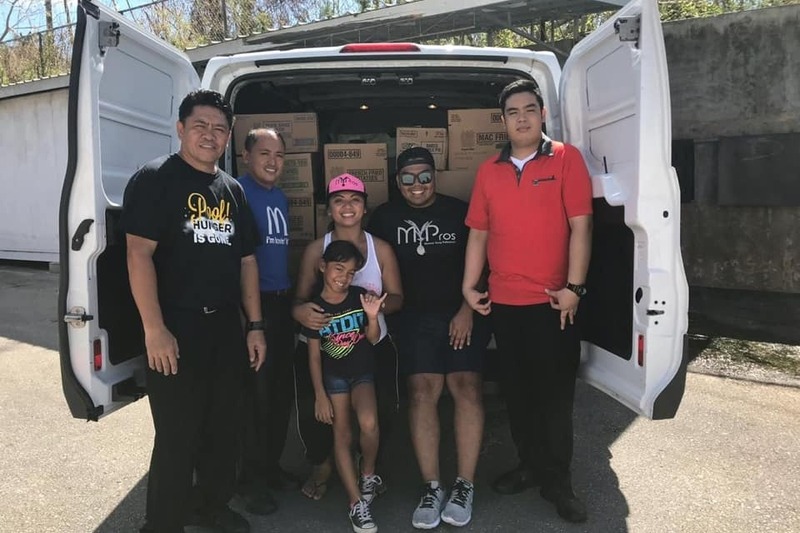 We have some power restoration, advanced water restoration, and our CNMI Government has committed major funding to a feeding mission, alleviating much strain on non-profits like ours. We threw everything we had at ending disaster hunger, and the cavalry has arrived! Thanks to wonderful partners like the Salvation Army, our little non-profit community has fed tens of thousands of meals these last two weeks. Yesterday we made our first two relief trips to the island of Tinian, where more than 30% of the homes are gone. Still, the recovery will be many months of high-risk displaced people and exposure to the elements for many thousands of people. The best donation remains money which we can allocate for recovery. But goods and tangible donations are coming in and those items which help restore long-term normalcy to our people are most welcome. MYPros continues our massive village cleanup efforts, employing an expert team of sawyers to clear trouble trees. 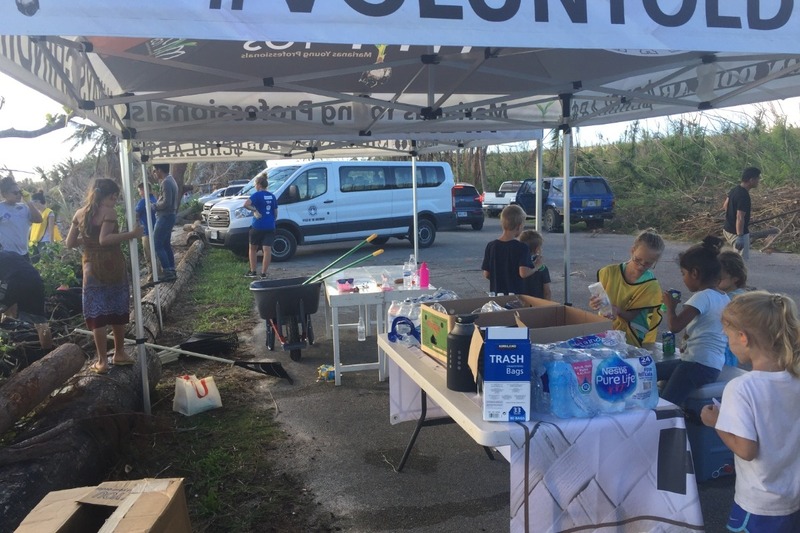 Every single day, we have more than 200 volunteers cleaning around the CNMI. We remain short of our fundraising goal, but we go forward in hope that we will complete our 90-day recovery mission and that great people will continue to make that possible by donating to this campaign. The people of the CNMI are strong, thank you for standing with them. Friends and donors. Thank you so much. The people of the Northern Marianas have survived Super Typhoon Yutu (one of the largest storms to make landfall ever!) just to face terrible hardship on the other side. Our 90-Day, $100k, recovery mission is centered around relieving human suffering. This grief and pain needs to be addressed as much as the physical needs of our community. Mindful of this, MYPros has hired artists, clothing designers, and music teachers, to start programs for our community enrichment in our MYPros: Disaster Recovery Center. 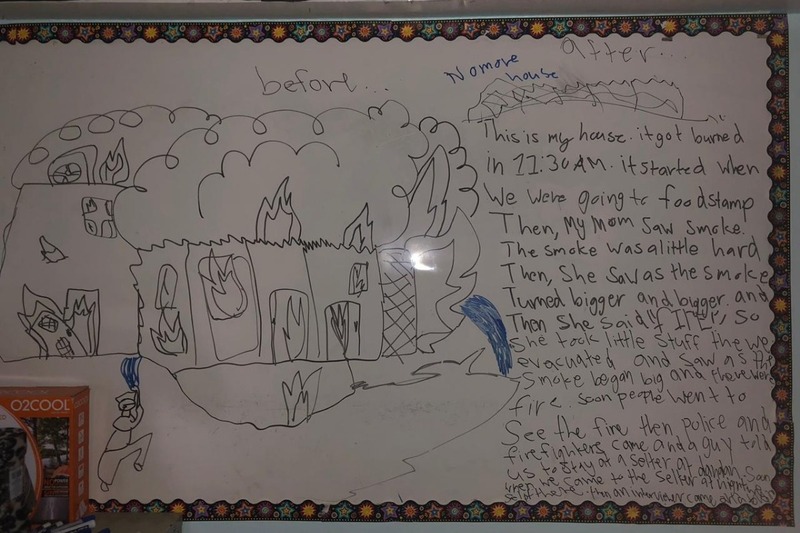 This drawing was done on one of our whiteboards by two children who's home burned down after the storm. I am so pleased to be "the guy who told us to go to a shelter at Dan Dan". Because we had secured a space (not knowing the needs) we have been able to help 6 families find temporary shelter and case management. We have relocated all but one of those families to permanent housing. 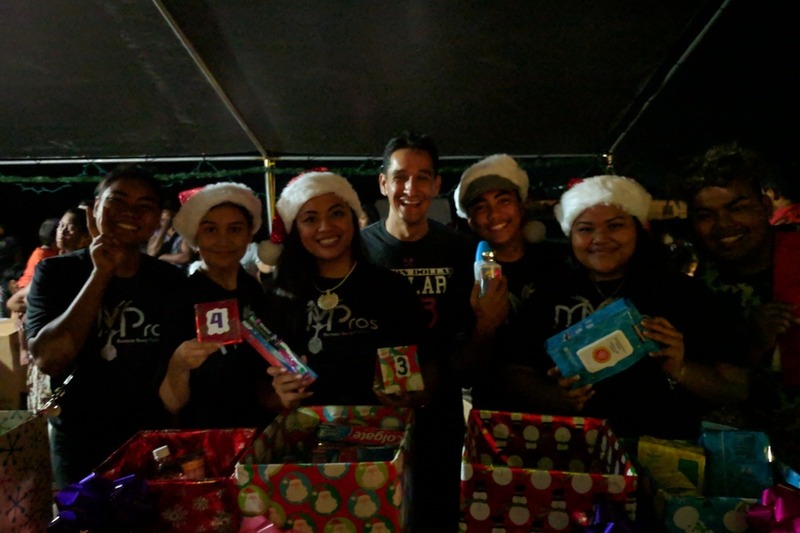 We are also preparing more than 500 hygiene kits (also some tents and goodies) to be transported to neighboring island Tinian in the next day or so. I am so proud of the work that we at MYPros are doing. We are feeding people (almost 4000 in the last 2 days), we are sheltering people (7 families so far), and hope is here to stay! Thank you for all your generous donations, we continue to do good and to do well.